Team Fortress’s 2 “Meet The Pyro” short has finally been released by Valve marking an end to the hilarious and entertaining series of “Meet the team” shorts. 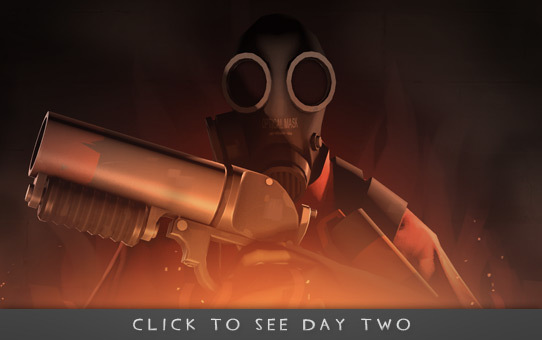 Pyro, One of the playable character’s in the highly acclaimed team based multiplayer FPS had his/her identity remained a mystery since a long time, it still remains a mystery now but atleast we do know what is that mind behind the mask thinking about and its all cute and cuddly things revolving around a fantasy world full of candies. Also, As a part of the celebration, Team TF2 have announced the Pyromania update which would commence in a few hours according to this post. Update would include a new map called “Doomsday”, New Weapons and more hats in this everlasting multiplayer franchise.